Win this app February 11th, 2016! CommunicoTool2 is a speech and language app with a modern, easy to use design. Basically you will find a collection of images that helps individuals with a speech impediment express themselves and interact with others. There are options for creating schedules, expressing feelings, diagnosing discomfort, and more. You can imagine the frustration when you can’t find ways to communicate with those around you. One effective strategy and help is to use visual aides and images that can be pointed to, interacted with, and used in schedules. There are multiple modules available. These include: communication, feelings, a timer, a to-do list, and Doloris which focuses on a pain scale and diagnostic help. CommunicoTool 2 was created by C. Texdev company. This company is focused on creating applications and software for individuals with special needs. They have multiple apps available including CommunicoTool Essential which is the earlier version app of CommunicoTool 2. To use this app, you will get a free limited 1 month trial at which time, you can choose to upgrade with a subscription or you can choose purchase the full version of the app. You can do this under the general module in the settings menu after you have decided what works best for you. This app is available in french, english and in a bilingual mode too. The first thing I noticed with this app is how well it steps you through the navigation and features. You really get a full introduction into the app when you begin. As you enter each module, it will give you clear instructions on how to use the resources at hand. I was very impressed with that. The communication module allows you to express a need or idea. The user can pick an image that best represents what they want or need. On the top part of the screen, you will see different categories of images to choose from. You can slide to the right or left to view more categories. If you upgrade from a limited subscription, there will be more options to customize the program for the user. With the full version, You can add as many categories and images that you want. You can also record your own voice. There are a lot of images available. With the full version, you can add categories and your own images. For example, when you open the “Places” category, you will see an image of a home, school, toilet, and bedroom. You can then add more images to that category including the grocery store by your house, a gas station that you frequent, the library, your church, and a favorite restaurant. It is completely customizable. In the feelings module, you will express how you feel. You can choose from different visual examples of faces and essentially feelings. When you click on an image, it has audio playback and so it will repeat the feeling, want, or request to you. This is helpful in teaching how to pronounce words and memorization. The Doloris module helps the user to express pain or tell someone when they are sick. You can touch where it hurts on the screen. There is an image of a body that can be flipped and moved. The button allows you to zoom into the body so that the user can more accurately express where it hurts. There is also a pain scale that you can rate your intensity of pain. It coordinates with a simple face icon that begins to frown, the higher you move on the pain scale. At first, I wasn’t sure that individuals with communication disorders will always understand how to use a pain scale but the face icon that goes from happy to sad will definitely help explain that. The timer module lets you choose a task and set the timer for how long it should take. 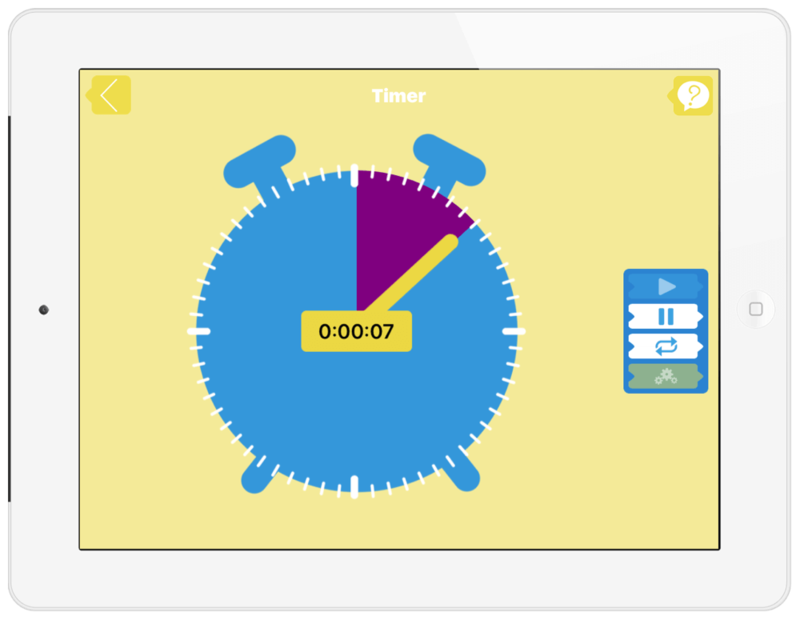 The clock gives time markers for the child so they can stay on task and know what is next in their schedule. The task sequencing module helps with this as well .This is perfect to work alongside the to-do list. In the settings screen for the timer, you can change the color and duration. If you need help at anytime, you can click on the question mark icon in the upper right hand corner on any of the modules and read the introductions again. The to-do list module is a visual list of things to do using the pictograms. You can use the timer for this as well. It is an excellent resource for creating schedules. One thing to note is that if you are using the limited free mode version of this app, you will not have access to the complete list of images at the top. You will only be able to see the currant image. I found it difficult to use with the limited version. I would definitely recommend upgrading if you wish to use this comprehensive program. There are two more modules coming soon: planning and core vocabulary. 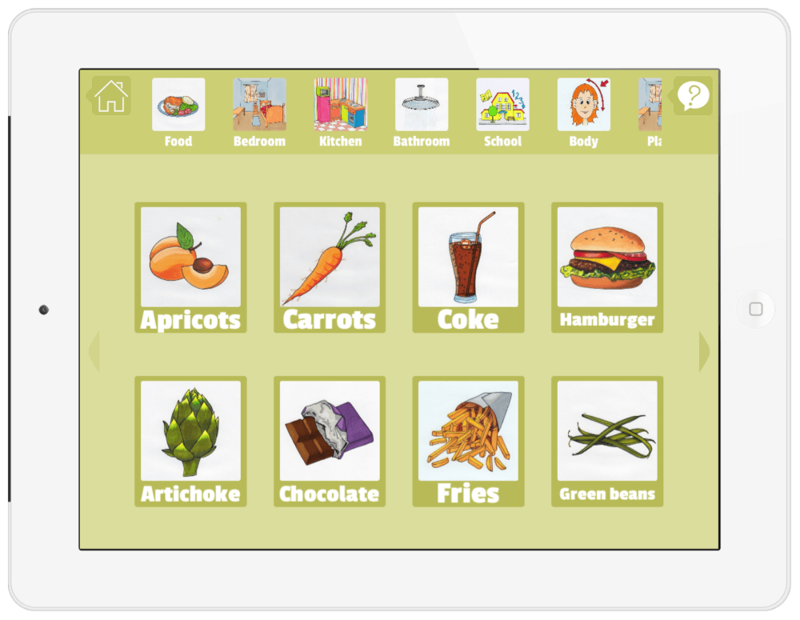 CommunicoTool2 is a great option for individuals with a speech impediment, or delay. It suits both adults and children well. The limited free mode is great for testing out the app before purchasing a subscription. The visual illustrations are helpful and clear. The full version is packed full of great features. In order to really use the program well and customize it, you will want to upgrade. I love the audio playback. The Doloris module is really special and important. Many parents of special needs children and myself included have struggled with understanding our child’s pain when they are sick or injured. This is a great tool to assist with that. I also was very impressed with the easy and modern design. At the time of writing this review, the CommunicoTool 2 app was free to download in the app store. After your 1 month limited app trial, you can upgrade to a subscription which retails for $3.00 per month or you can purchase the app for $59.99. To learn more, check out the CommunicoTool Their focus is on creating applications and software for individuals with special needs. 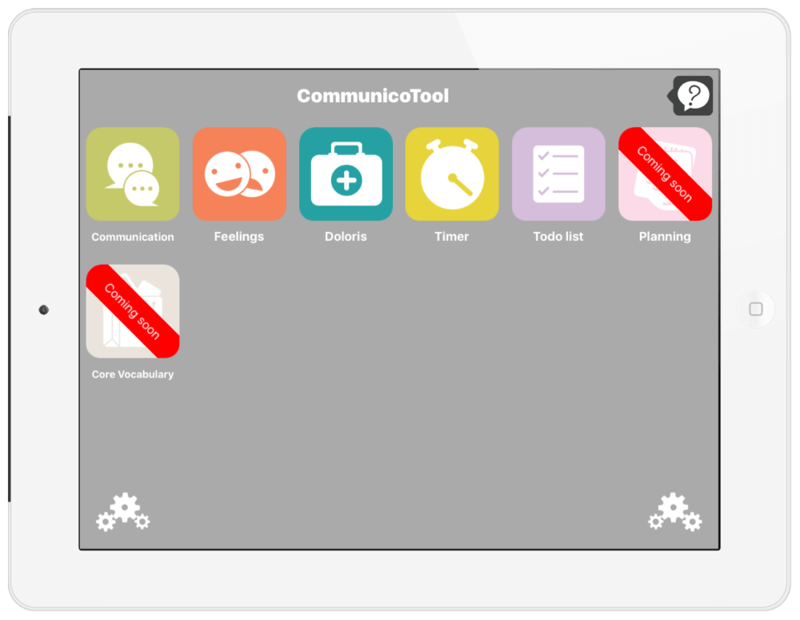 Buy CommunicoTool 2 in the App Store today!